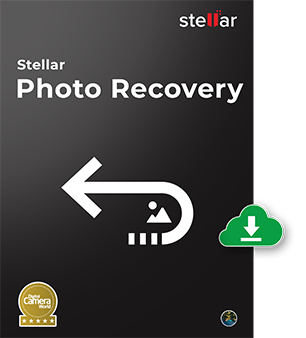 Stellar Photo Recovery software is an easy-to-use, DIY Mac photo recovery software that recovers photos, videos and audio files from digital camera, memory card, USB stick, pen drive, hard drive and other storage devices in just 3 simple steps— select, scan, recover. Photo recovery from camera SD cards, memory sticks, hard drives etc. Based on my time in I.T. and my previous experience with recovery software, I’m happy to recommend this software if you find yourself in a spot of digital bother. It is compatible with all major camera brands to recover their lost/deleted/formatted photos and videos. A guaranteed and easy solution for recovering all your lost Photos, Videos and Music files in a few clicks. Lost your priceless digital photo album due to accidental deletion or formatting of Mac-based storage devices, memory cards, iPods, etc.? Now easily recover images in any format by using this Mac photo recovery software. Get extensive photo recovery support for image formats such as PSD PSP, INDD, JP2, PCT, PNG, GIF, TIFF, BMP, Tiff, JPEG and more. Try it once to recover deleted photos from Mac. Works like a charm in every photo loss disaster. Not just lost pictures, the Mac photo recovery software also retrieves lost or deleted video files, music collections, and podcasts from a variety of devices including— digital cameras, iPods, USB storage devices, SD Cards, Flash Cards, Mini Disks, Zip Disks, and Mac based hard drives. The latest version of the application supports audio formats such as ACD, AIFF, AMR, AT3, AU, CAFF, DSS, IFF, M4A, M4P, MIDI, MP3, etc. and video formats such as ASF, MP4, MOV, AVI, AJP, F4V, SVI, TOD, VID, HDMOV, M4V, MPEG, etc. Many Mac users encrypt their hard drives to protect the data. The encryption on the drives often presents a challenge for conventional photo recovery software. However, the Stellar Photo Recovery for Mac recovers photos, videos, and audio files just as efficiently as on unencrypted drives. Recover valuable photos, videos, and audio files from a Mac hard drive that has lots of bad sectors on it. The disk imaging feature helps you get back lost or deleted multimedia securely, without the risk of data loss due to drive failure. All you need to do is create a disk image for such rives and run the photo recovery software on the disk image rather than the storage hardware. Recovering from disk images is both faster and safer. The Stellar Photo Recovery (Mac) brings major UI improvements to maximize the user experience. Along with a simple interface, it offers multiple utilities — file view options for convenience, check/un-check files using space bar, ability to zoom-in/zoom-out photos by slider for thumb view, preview of pictures, audio and video, and more. This advanced photo recovery tool for Mac lets you stop a running scan and save the scan progress up to that point in the form of a file. This scan file can be later loaded into the software to resume recovery from the saved point. Additionally, the Resume Recovery features for Disk Image, Volume Image and saved scan information have been optimized, with an option to display their respective screens on a single page. For most devices, the application’s advanced scanning engine quickly finds the recoverable items. However, certain files might not turn up after a normal scan in some cases. In such cases, the software does a Deep Scan of the volume to recover each and every bit of lost or deleted data. By recognizing file headers, this feature lets the software conduct a deep scan and find out all the missing files. Scan an entire Mac drive or volume, or restrict the scope of scanning to a specific region to recover your photos, videos, and audio files. This helps save a lot of time in case you know the exact location on the hard drive or volume where a photo or media file existed before being deleted. Any files found are then available for preview and recovery. Similarly, you can instruct the software to scan the memory only for specific file types for effective Mac photo recovery. In addition to the wide range of photo, video, and audio file formats, the Mac photo recovery software also supports recovery of Unicode files, thus eliminating the need for a converter or any other supporting software. Keeping this in mind, the Stellar photo recovery software for Mac is one of the most versatile software available in the market that helps recover photos from Mac. Along with recovering deleted photos, this powerful product also facilitates retrieving detailed information related to the recovered files. This information includes the file name, original date timestamp, camera model / name, and resolution. Moreover, you can even recover image through thumbnail. The software shows a preview of corrupt files in safe mode, both in thumbnail view and running scan mode. The File Preview feature can be turned on/off anytime based on your preference. The photo recovery software for Mac also allows to add new file header and edit file header. So, if you’re unable to find a specific file format in the list of supported formats, you can add a new file header to the list or edit an existing one. Meaning, the software can practically recover an unlimited variety of photo and video formats! How can I recover photos from a formatted USB drive on Mac? 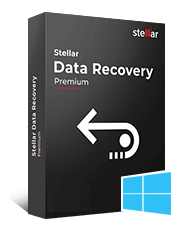 You can easily recover your photos from formatted USB drive by using Stellar Photo Recovery Software for Mac. Just follow these simple steps. Connect your USB to the Mac system. Download, install and run Stellar Photo Recovery for Mac. On home screen of the software select Photos. Click Next. Select your USB drive from the list of drives and external media. Once the scanning completes, the list of found photos appear. You can select desired pictures and click Recover. Select destination to save the recovered photos. Click Save. How to recover images from SD card showing error "Memory Card Error"? The error is displayed mostly when the card is in “locked” position. Check to see whether your memory card is in unlocked position. Simply flick the right switch of your memory card and you can “lock” or “unlock” your memory card. If the card is already unlocked then might be there is some corruption issue with the card. You can go for Stellar Photo Recovery in that case. Why I should use Advanced Settings option in the software? Advance Settings option in the software helps you speed up the scanning and recovery process. You can select specific file types that you want to recover. Also, reduce scanning time by choosing a specific region (starting and ending sector) rather than complete drive for scan. Read more. 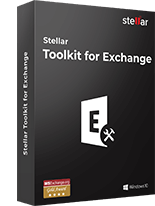 What is “add new file type” feature in Stellar Photo Recovery software? Whenever you are unable to find your file “format” in the list of supported file types by the software, you can edit the existing file formats or add new file types of your choice. Click here to see the steps. How to recover images from sd card showing error “REINSERT THE MEMORY CARD"? This kind of issue usually gets corrected by formatting the card in the camera. However sometimes, the reason may also be camera and card incompatibility and in that case, you should update your gear with the latest firmware. 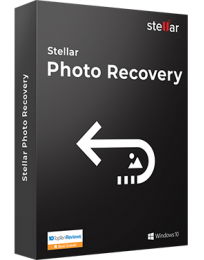 If the issue is still there, then run Stellar Photo Recovery Software to recover your images. How can I Create Image of my drive or volume using the software? Click Advanced Settings at the bottom. Select the Range to Create Image. Click Next. Click Start Imaging. The image file is saved at your specified location. I have created an image of my volume on Mac. How should I recover pictures from the image file? Click Load Image. A Recovery from Image window opens. All image files with are listed. Browse location to save the recovered files. Click Save. On home screen, click on the Resume Recovery icon. A Resume Recovery window opens. All the saved scan information files are listed. Yes. Do not remove your media during the scan or recovery process. Detach your card or other media only after the recovery process completes. 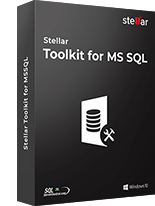 Which new file types are supported by the latest Stellar Photo Recovery Software? 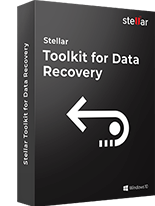 The latest Stellar Photo Recovery 9.0 supports all known and unknown multimedia file types. The software supports recovery of lost or deleted raster images, vector files, MXF movies, HD-MOV, Adobe EPS, and RAW file formats of cameras. You can even add the new file types, if your required media file type is not in the predefined list of supported formats. I've recently had a chance to check out the Stellar Photo Recovery software on my Mac and was surprisingly impressed by this tool. Anyone could benefit from it if you've had an accidental file deletion or if you've formatted your SD card. 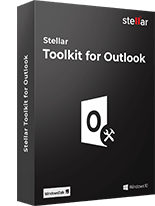 Incredible Tool for all Mac Machines! It's Compatible with all latest Mac versions. I was really overwhelmed with the results! I cannot ask for more after recovering more than 95% of lost image files from my formatted hard drive.